Take inspiration from famous actor Surbhi Jyoti on how to ace your bridal avatar without breaking a sweat! 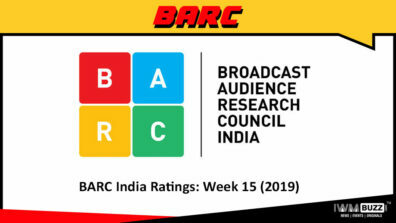 One of the most talented actresses on Indian television is Surbhi Jyoti, but there is much more she has to offer than just her par excellence acting. Her bridal look has been the hot topic of the B-town for a long time now and if you were to follow her on her social handles then you wouldn’t be wondering why either! 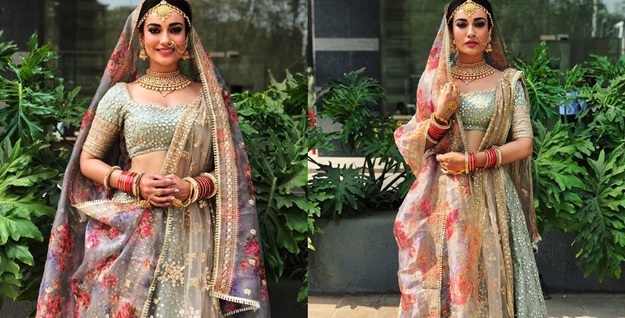 It’s very well known that the entire prep for shaadi can be quite exhausting and intimidating but not if you are following the dazzling bridal avatar of fashion icon Surbhi Jyoti! A sheer stunner and an absolute delight to the eye, actress Surbhi Jyoti dazzled glamorously in her bridal avatar. 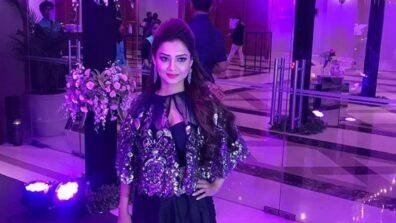 Viewers are enamored by her prettiness and definitely her gorgeousness is what has managed to set many hearts on fire. With her traditional attire and gorgeous ornaments she was looking astonishing without a doubt. The bridal attire of Nagin 3 fame has managed to keep her palette pastel and jewellery minimal, and it surely is the most perfect inspiration that you need this wedding season. You can surely take some tips from the hot nose ring and kohled eyes of Surbhi Jyoti and with that ravishing nose ring will definitely be a cherry on the cake. But what stands out the most is her ravishing lehenga , which was without a doubt, the showstopper of the wedding. 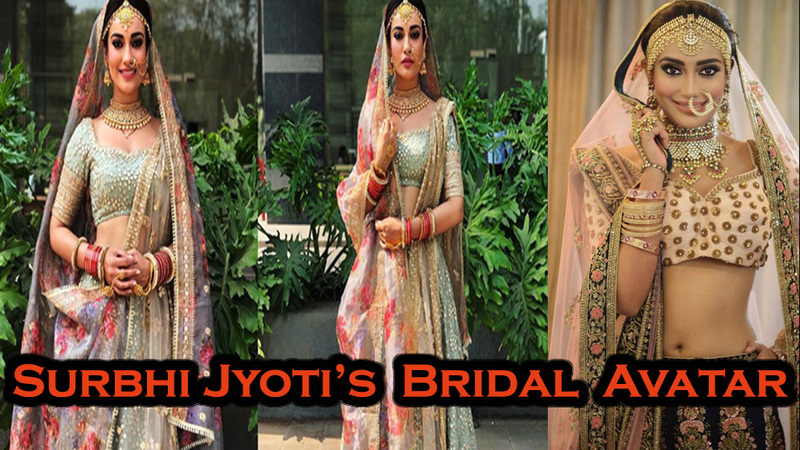 Every bride dreams to look nothing short of a princess on her wedding day but B-town actress Surbhi Jyoti has actually gone ahead and achieved it flawlessly. Nagin 3 actress Surbhi Jyoti is setting an example just for you, so that no other bride ever worries about her last minute lehenga fixes, and you wouldn’t want to miss it!